12 June 2018 – Quick Plug will be presenting its fully revamped brand identity during GreenTech at the RAI in Amsterdam with an eye-catching stand and a high profile press launch. 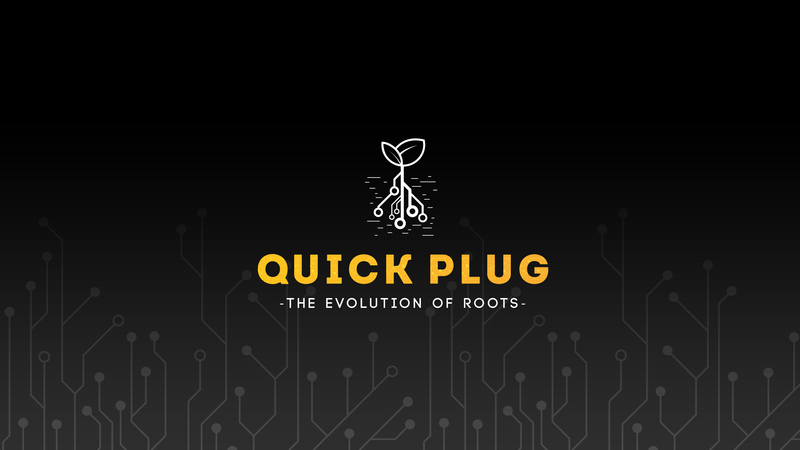 Quick Plug brings together the talents of Grow-Tech Inc. (US), Quick Plug (NL) and Omni Growing Solutions (CN). These three companies now make up a single strong and independent business operating in the global plug market for professional horticulture, arboriculture and agriculture. This merger brings together 75 years of knowledge and experience. Quick Plug offers a wide range of different concepts and segments for growing various crops. The new house style and its payoff – The evolution of roots – emphasise the innovative nature of the revamped Quick Plug. Quick Plug is already an established name, but the merger of the three companies means it now offers an even wider range of both products and knowledge. And that deserves a new brand identity! This will be launched during GreenTech (12-14 June). The stand will feature the new house style and the full range. The house style will be officially unveiled for the invited press during a special ceremony at 9 a.m. on the opening day. For its North American customers Quick Plug will ‘re-do’ the launch during Cultivate ‘18 in Ohio, USA (14-17 July). The revamped Quick Plug also has an online presence: www.quickplug.global is the freshly launched brand-new website.